Standard monitor: A regular monitor plugs into the VGA, or graphics adapter, jack on the back of the console, as shown in this figure. The plug goes in only one way. Digital monitor: If you have a digital monitor, find and use the digital jack (see this figure). 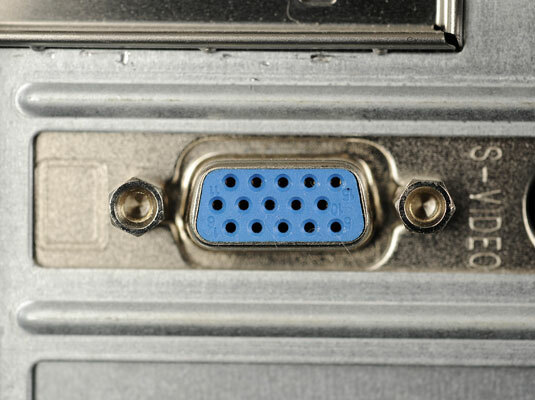 Some digital monitors come with a digital-to-VGA adapter if your console lacks a digital jack. 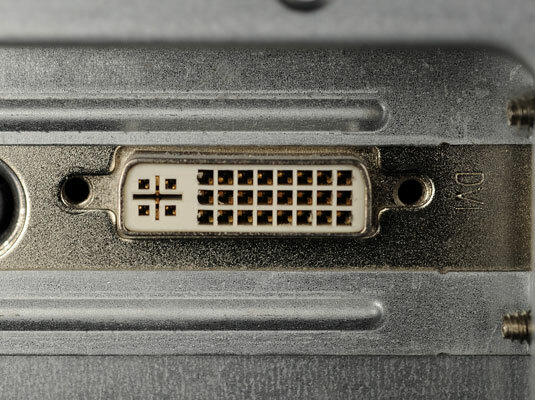 If the console has two VGA connectors, use the one on an expansion card rather than the one on the console’s I/O panel. The monitor also requires power, so be sure it has access to a power outlet somewhere nearby.